Bill Kreutzmann played drums for the legendary rock band the Grateful Dead for 30-years, backing up his old friend Jerry Garcia. And, both Garcia and Kreutzmann became visual artists as well. 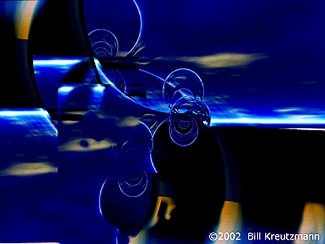 On February 18, 2009, Bill Kreutzmann will attend a reception at Walnut Street Gallery in Fort Collins, Colorado where more than 25 prints of his digital artwork will be on display. The artwork will be available for preview on February 16 & 17. Contact the gallery for more information about the reception. For more information about Bill Kreutzmann visit http://www.billkreutzmann.net/. Visit the Pop Life Art homepage for links to the artwork of more than 80 singers, musicians, and actors.